Home /Elections, Politics, South East Asia, Thailand/On Thailand’s election: left foot first or the right one? Thailand needs democracy, but it may not be ready for full democracy. Military dictatorships and elected governments have taken turns in Thailand’s democratisation process. Sometimes the country moved forward with its left foot first and sometimes with the other, depending on the judgement of the late king (Rama IX, Bhumibol Adulyadej) and his allies. A political equilibrium was achieved and maintained during the Bhumibol era (1950–2016), while street politics have led to Prayut Chan-o-cha’s military dictatorship (since 2014). Thai democracy is characterised by vulnerability, turbulence and stagnation, with frequent military coups. Thailand’s 2019 general election needs to be examined in the historical context of its rapidly changing political and social landscapes as well as its rather stable political power structure. The overthrow of the absolute monarchy and the establishment of a constitutional monarchy in 1932 unveiled a new era of Thai-style democracy. Since then, a military-monarchy alliance has been formally established and consolidated, with the modern democratisation of Thailand constantly in its shadow. Thus Thai democracy is characterised by vulnerability, turbulence and stagnation, with frequent military coups. While many political scientists and observers worldwide conclude that Thailand has been deeply entrenched in political deadlocks, I believe the country has its own political loop, within which its current political trajectory is firmly ensconced. Suffice it to say that the bottom-line rule of the democratic political game in Thailand is never to go beyond the mutually respected boundaries or to challenge the dominance of the military-monarchy alliance. The stability of the military-monarchy alliance is maintained as long as the inner power structure adjusts and balances itself continuously. Since 1932, the military-monarchy alliance has been at the centre of the close connections between the Thai ruling elites and conservative bureaucratic interest groups. Thus, within this alliance, the military occupies a dominant position in the form of military government and military interventions, while the monarchy gains domestic legitimacy. In addition, the democratic electoral system gains international recognition for a political system designed by and which serves this political alliance. The concerned parties in this alliance have formed a tacit mutual understanding, thus reaching a perfect balance within the inner power structure against the domestic and global contexts of nationalism, democratisation, egalitarianism and globalisation. Within this political sphere, strongman politics is self-evident and typically exclusive. Strongmen have risen alternately from this alliance, playing the roles of interest defenders or spokespersons, such as military prime ministers including Field Marshal Paek Phibunsongkhram (1938–1944 and 1948–1957), Field Marshal Sarit Thanarat (1957–1963), and Field Marshal Thanom Kittikachorn (1963–1973). The late King Bhumibol Adulyadej (1946–2016) was a strongman from the royal family. When the political environment is strained either domestically or globally, a military strongman is called for; when the political environment is benign, a charismatic king appears. Following the robust development of Thailand’s extra-bureaucratic forces such as business groups and elected politicians since the 1980s, especially after Black May (1992), a more transparent political system has been called for by its citizens, while the military forces have ducked down behind the curtain. However, when the populist politician Thaksin Shinawatra (2001–2006) won an overwhelming election victory for his second term of office in 2006, the conservative alliance was dumbfounded. For the alliance, it was an unprecedented great challenge by another outsider strongman. 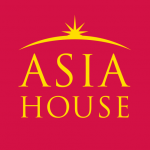 In response, the alliance expelled Thaksin from Thailand’s political stage and dissolved the pro-Thaksin populist parties, including the Thai Rak Thai Party (Pattana Chart Thai Party; TRT) and the People’s Power Party (Palang Prachachon Party; PPP). 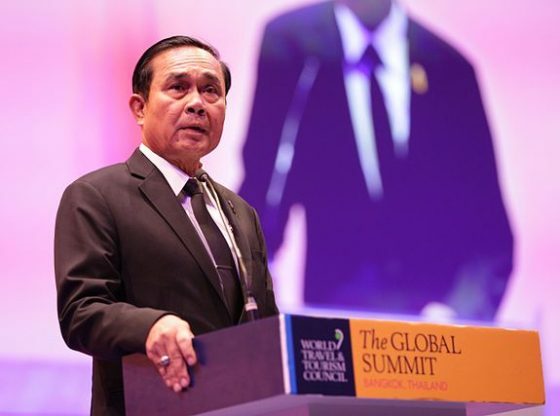 Thus, in the uncertainty produced by the post-Bhumibol era, the alliance looked for another strongman on its own side: General Prayut Chan-o-cha. If we analyse the history of Thailand’s electoral politics, the political loop is clearly identifiable: if the general election or elected government continues smoothly under the alliance’s control, the political system remains without interruption. However, once a general election or elected government is out of the alliance’s control, or there are challenges to the alliance from outside, the military will intervene, either stopping the process of an election or ousting an elected government through accusations of corruption or lèse-majesté or a military coup. Then a so-called ‘guided democracy’ is introduced to rule the country until a military or pro-military party wins an election. Military political parties fall into two types: military and pro-military. The military parties, led by powerful military generals with a military and bureaucratic background, first appeared in the late 1950s. These parties have made full use of the bureaucratic machine’s resources to launch campaigns against their rivals and even manipulated the electoral results, such as Phibun’s Serimanangkasila Party in the 1957 election and Thanom’s United Thai People’s Party (Sahaprachathai Party) in the 1969 election. These two elections are often known as the ‘dirty’ elections in Thailand’s history. The pro-military parties, headed by civilian politicians and supported both financially and logistically by the military, first appeared in the 1990s, such as the Samakheetham Party in the 1992 election and the Pheu Pandin Party in the 2007 election. The common purpose for both kinds of party is to make one of the military leaders the next prime minister. As for the upcoming general election in 2019, the promulgation of the 2017 constitution, Thailand’s National Strategy for 2017–2036, and the creation of military and pro-military parties have already paved the way for General Prayut to be elected as prime minister. In 2018, Colonel Suchat Chantarachotkul established the Power of the Citizens Party (Palang Pracharat Party), a typical military party headed by military leaders, to support Prayut in the next election. Additionally, the Action Coalition for Thailand Party (Ruam Palang Prachachart Thai), a pro-military party established by Suthep Thuagsuban, is also very likely to vote for Prayut as the next prime minister. Since the restoration of democratic elections is taking place in the early years of Rama X’s era, Thailand’s political future remains uncertain. Will Thailand take its first democratic step with its left foot or the right one? History will tell! Jie Du PhD is a professor at the Sichuan Provincial Research Institute of Thai Studies at Chengdu University, The People’s Republic of China. Image Credit: CC Wikimedia Commons.